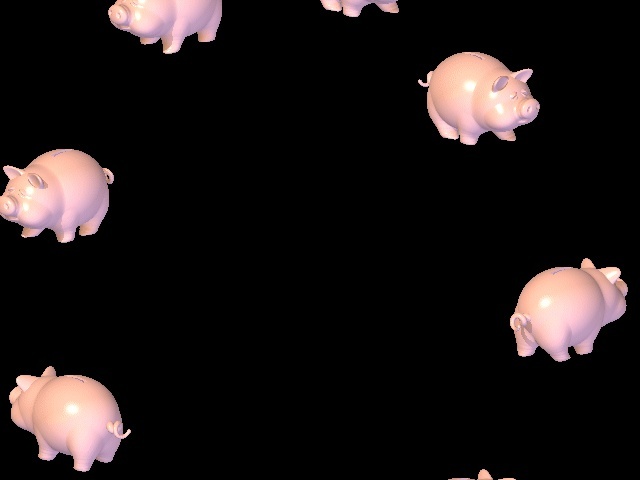 The Piggybank screensaver populates your desktop with walking pigs, or rather, piggybanks. You can set the number of pigs, toggle sound, have your desktop as background or a black screen and choose to add dropshadows. - Shadow: draws a shadow behind the pigs. Only works with the desktop as background. - Piggies: pick the number of pigs you want walking around. - Sound: turn the squeaking on or off. - Speed: set the moving speed.